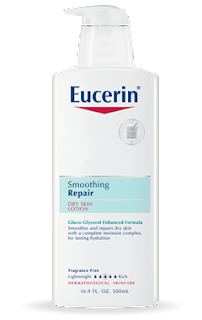 Eucerin Smoothing Repair Dry Skin Lotion (16.9 fl. oz.) 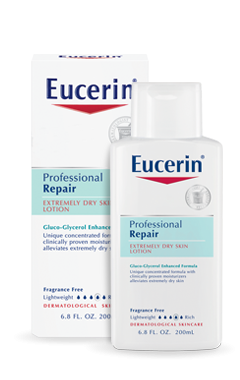 a unique, fast absorbing lotion that combines Ceramide-3, skin’s own moisturizers, and Gluco-Glycerol to improve the condition of skin and fight dryness at the source. Eucerin Professional Repair Extremely Dry Skin Lotion (6.8 fl. oz.) helps alleviate and repair extremely dry skin with a unique concentrated formula that features a groundbreaking technology that combines skin’s own natural moisturizers and Ceramide-3, a component of a healthy skin barrier, with Gluco-Glycerol, an innovative moisturizer—to improve the condition of skin and fight extreme dryness. The product is so effective, it’s been granted the Good Housekeeping Seal. If it doesn’t work as claimed Good Housekeeping will replace or refund the purchase price. Now for the fun part! One lucky winner will walk away with an amazing Autumn Prize Pack!